Sydney Taylor was a Politics student (BAH ’13) who tragically left us on May 7, 2013, the week before her convocation. In her memory, the Department of Politics and the Acadia Politics Students’ Association (APSA) have established a lecture series, focused on her interests in human rights and the environment. 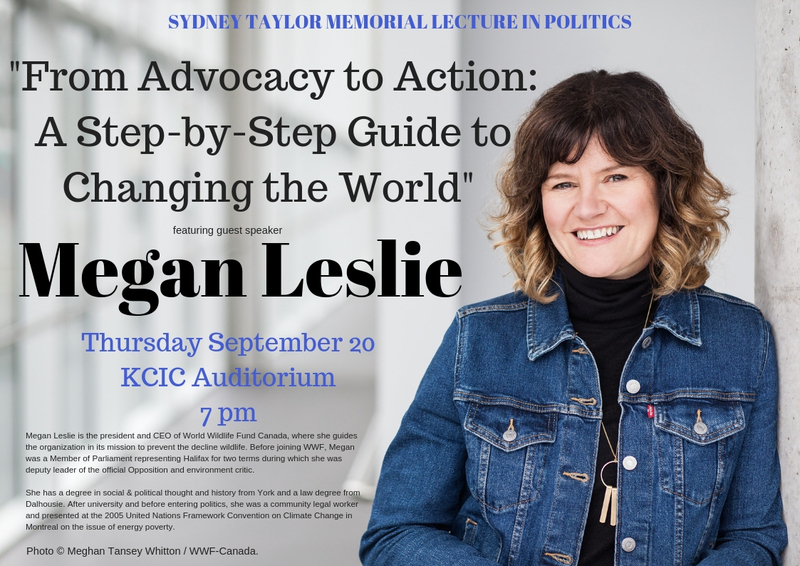 The 2018 Sydney Taylor Memorial Lecture in Politics was presented by Megan Leslie, president and CEO of World Wildlife Fund Canada, and former Member of Parliament. Her lecture, “From Advocacy to Action: A Step-by-Step Guide to Changing the World,” took place on Thursday Sept. 20, 2018. It can be accessed here. The 2017 Sydney Taylor Memorial Lecture was presented by Dr. Ashlee Cunsolo, Director of the Labrador Institute of Memorial University, on "Mourning Muskrat Falls: Finding Environmental Justice through Ecological Grief." The lecture took place on Thursday March 2, 2017. The 2nd Sydney Taylor lecture was given on March 30, 2015, by Peter Irniq. The title was "Land, Culture and Inuit Resilience: I can outrun bureaucracy, anytime." A memorial fund to assist future Acadia University students has also been established in Sydney’s name. The Sydney Taylor ’13 Memorial Award is awarded to (a) returning student(s) in the Faculty of Arts who has enriched campus life as an active Acadia citizen through academic, on‐ or off campus leadership or activities. Awards will be made based on applications to be reviewed by the Scholarship Committee. 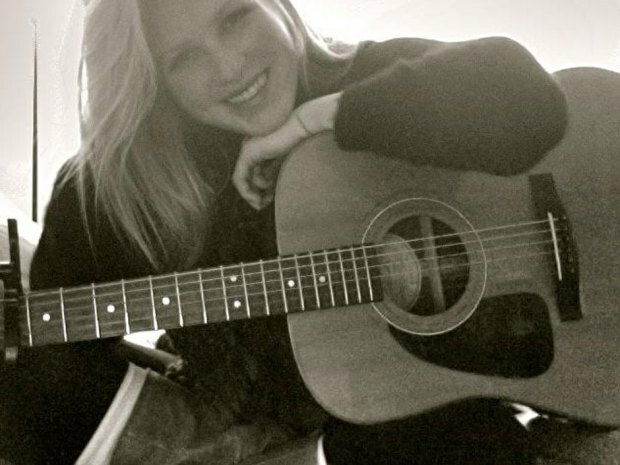 The Sydney Taylor ’13 Memorial Award was established in 2013 by friends and family in memory of Sydney Taylor to honour her commitment to academic excellence, her inquisitive nature and her love of family, friends and community. Sydney was a vibrant and active member of the Acadia community who was passionate about human rights, music and the environment whose life should serve as an inspiration to young people to be confident and fearless. She completed her Bachelor of Arts with Honours in Politics.